There are multiple methods for conducting market research in this era of new and interactive technology. 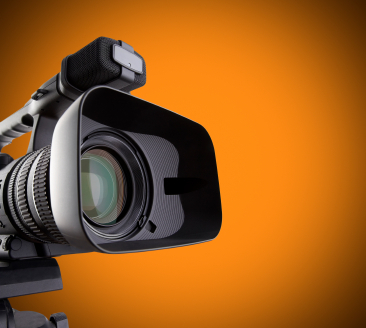 One method that has been around for a few decades now is video. With the advent of YouTube and various other online video outlets, it has never been easier to reach an audience with the medium of video. As we all know, in market research video can be used as a reference for note-taking after a market research session has concluded. It can help in bringing about more accurate notes and producing findings that are more true to what actually happened during the market research session. So, apart from note-taking, why use video for market research? Diaries – Market research study participants can use video to create diaries about their experiences or opinions of a certain research topic. These diary entries can be accumulated and then aggregated as evidence for the research study. TDIs – Video can be incredibly useful for TDIs (telephone depth interviews) which can utilize computer applications such as Skype to conduct a simulated face-to-face interview. This can help in targeting hard to reach segments of the population or make a TDI more interpersonal by introducing the face-to-face video aspect. Showing videos to groups – Using video within market research groups can result in more engagement from those group’s members. It allows focus groups participants with low levels of literacy to be actively engaged in the study. This opens up whole new groups that might’ve been difficult before to include in market research. Ethnographies – In ethnographies, or the study of certain specific cultural phenomena, video is also especially useful. Showing rather than talking about certain cultural trends is an easier way to engage market research study participants. InsightShare pointed out that participatory video in market research particularly has an advantage since “showing a video rather than giving a speech puts [people] on a more equal footing with [researchers] and so on, who may have more experience of conferences and public speaking.” These types of videos can engage a focus group and provide a wider range of results and findings. The members of your particular focus group are more likely to give a response than if they had just read something on a piece of paper. Conduct your next Baltimore market research project with Observation Baltimore. We have the facilities and the resources necessary for you to carry out market research using the medium of video. Observation Baltimore has been serving the market research industry for two decades. We are one of the top Maryland Market Research Facilities, rated “One of the World’s Best,” by Impulse Survey. Our experienced recruiting is the foundation of our mission, as well as courteous and proactive hospitality and client services. Our environmentally-kind facility and practices are a testament to our character, and most importantly: We understand market research! This entry was posted on Tuesday, June 11th, 2013 at 6:30 pm. Both comments and pings are currently closed.